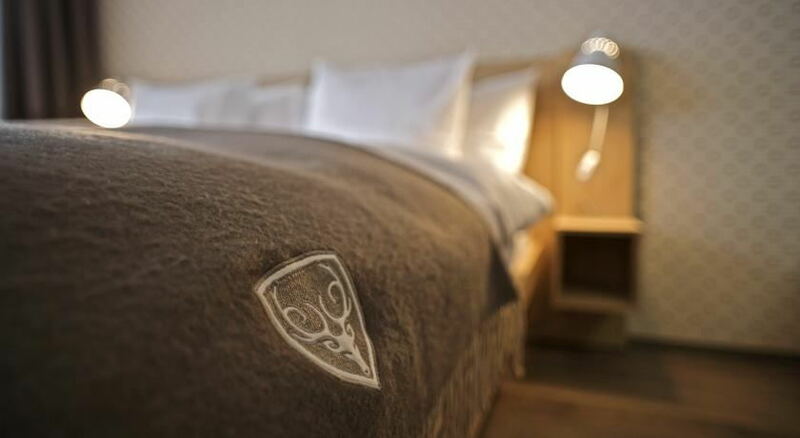 With its dream location in natural surroundings, beside the slopes and close to the village centre, this cosy luxury hotel CERVO in Zermatt stands out with its contemporary design mixed with hunting lodge and alpine themes. 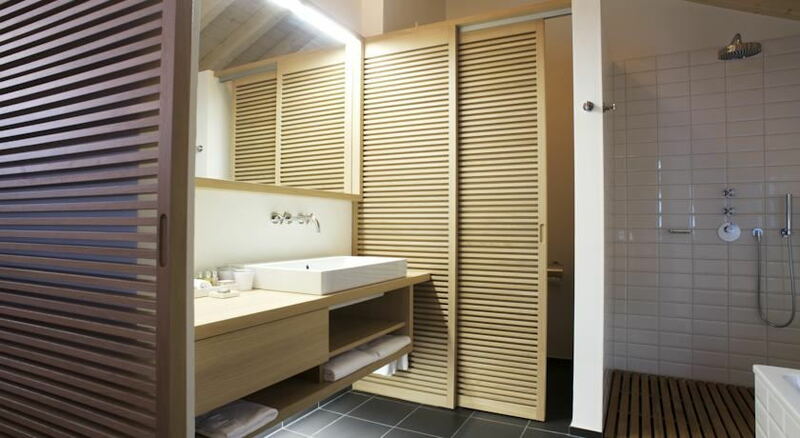 It was opened in December 2009 and consists of five chalets with spacious rooms and suites, totally of 28 rooms, 3 junior suites and 2 suites. 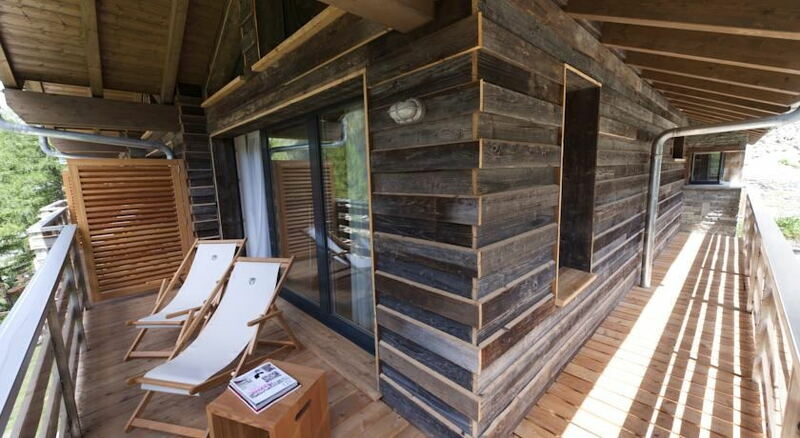 All the chalets contain a private wellness area with sauna, sanarium, Jacuzzi, massage shower, foot bath, massage room and a room to relax in with fireplace. 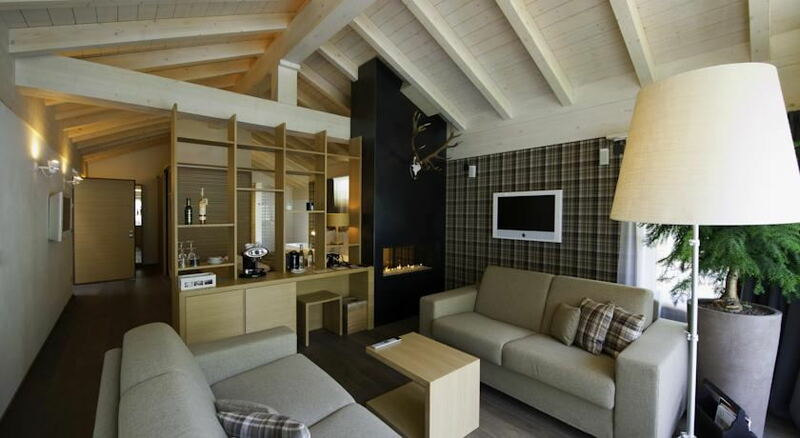 Each chalet can be reserved as a unit and offers space for up to 10 people. Or you can book an individual room for a dream holiday for two. An already existing chalet built in 1950 has been converted for the new era into the reception, lobby, lounge, bar and restaurant. 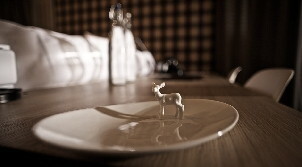 Everything which is on the menu has been carefully selected. Terrace with view of the Matterhorn, old Swiss chalet dining room and stylish bar are ideally situated to have lunch, Après-Ski and dinner. 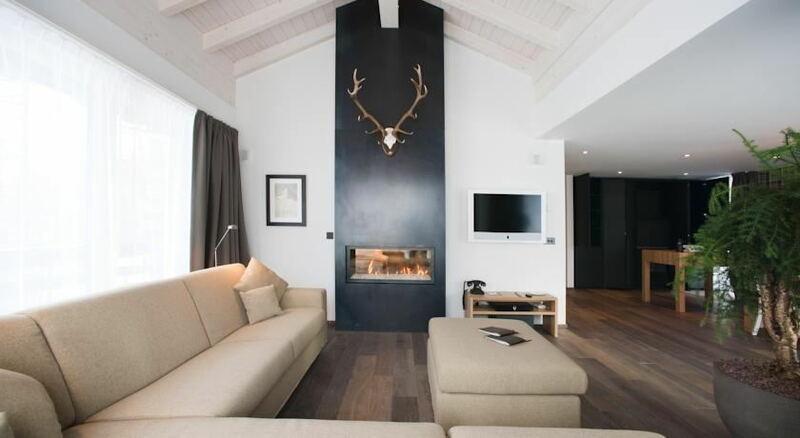 It takes only 10 minutes on foot from Zermatt Station to reach the boutique hotel CERVO. From the valley station of the Sunnegga funicular you arrive directly at the entrance to reception. And in reverse straight back to the train and so onto the slopes. The situation between the edge of the forest and the outskirts of the village is unique and guarantees relaxation. 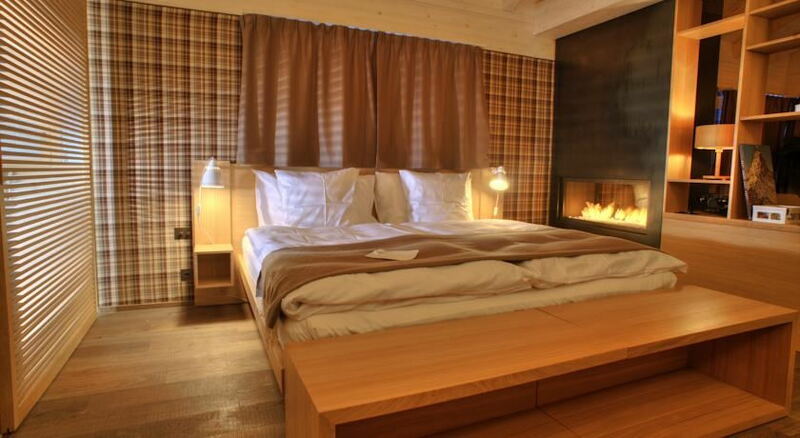 In the luxury hotel CERVO you are very close to nature and – if you wish – also very quickly in the centre of Zermatt. All rooms have direct or side view of the Matterhorn. These rooms feature a panorama window and a balcony with mountains views. 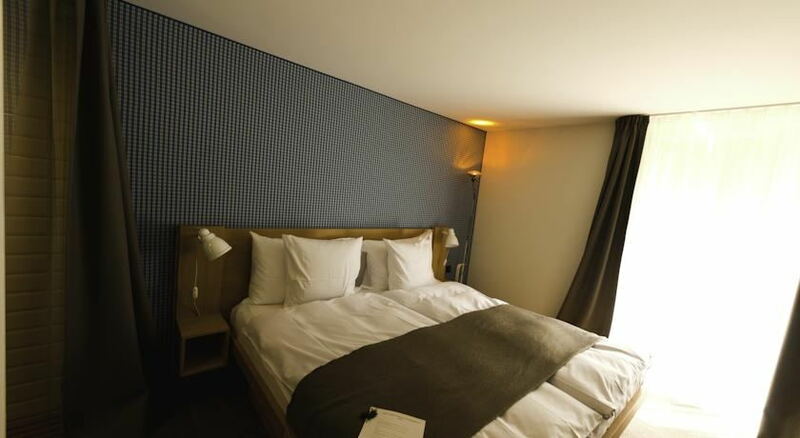 The double rooms can be combined with one of the deluxe rooms, which is ideal for families. Room facilities: Balcony , Patio , Telephone, Radio, DVD Player, CD Player, Satellite Channels, Safety Deposit Box, Desk, Seating Area, Heating, Shower , Hairdryer , Bathrobe, Free toiletries, Toilet, Bathroom, Minibar, Refrigerator Free WiFi is available in all rooms. 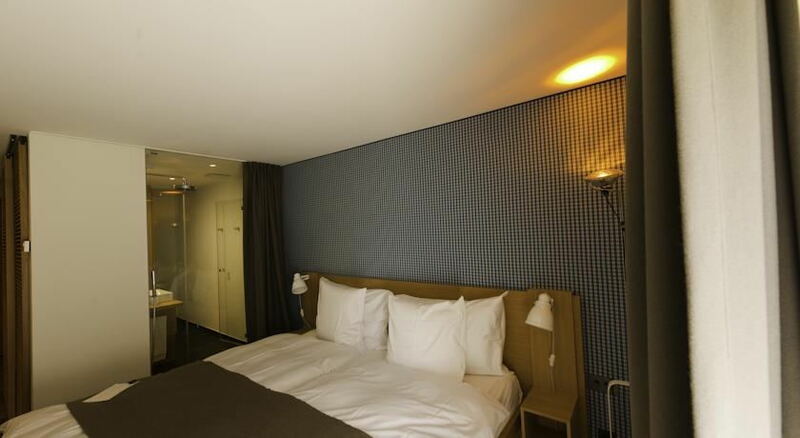 The deluxe rooms have a balcony or a terrace with mountain views. Room facilities: Balcony , Patio , Telephone, Radio, DVD Player, CD Player, Satellite Channels, Safety Deposit Box, Desk, Seating Area, Heating, Shower , Bath , Hairdryer , Bathrobe, Free toiletries, Toilet, Bathroom, Minibar, Refrigerator Free WiFi is available in all rooms. The junior suites are 49 m² in size, have a spacious balcony, a living room with a fireplace and offer views of the mountains. Room facilities: Balcony , Patio , Telephone, Radio, DVD Player, CD Player, Satellite Channels, Safety Deposit Box, Desk, Seating Area, Heating, Shower , Bath , Hairdryer , Bathrobe, Free toiletries, Toilet, Bathroom, Minibar, Refrigerator Free WiFi is available in all rooms. The suites feature a balcony and a terrace, a separate living room with a fireplace, a dining room with a kitchenette and superb views of the mountains. 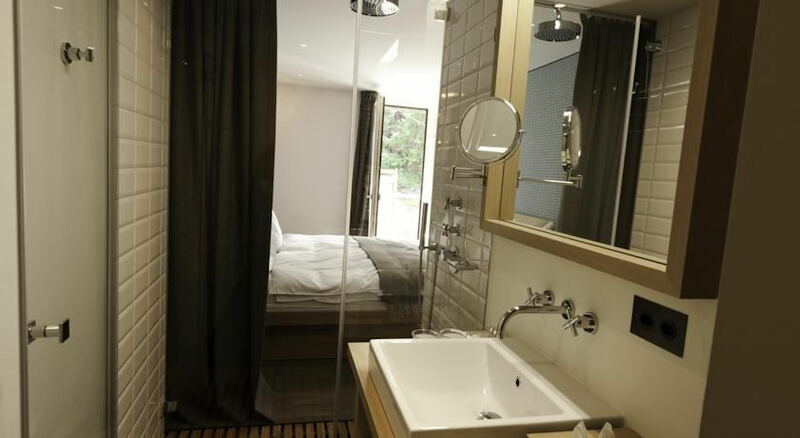 Room facilities: Balcony, Patio, Telephone, Radio, DVD Player, CD Player, Satellite Channels, Safety Deposit Box, Desk, Seating Area, Heating, Shower, Bath, Hairdryer, Bathrobe, Free toiletries, Toilet, Bathroom, Minibar, Refrigerator Free WiFi is available in all rooms. I actually won a free night stay at the hotel from a contest by Girlfriend's Guide to Zurich. I really enjoyed my stay at Cervo. My husband and I and our small dog had a wonderful time. 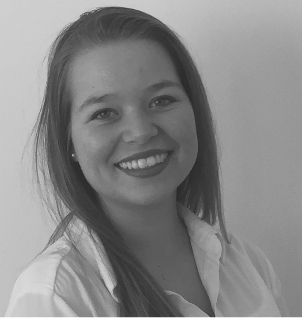 We were treated like paying customers and that made us feel good. Some places could have treated us badly simply because we didn't have to pay for the room, but Cervo did their best to make us feel important. Our room was wonderful. I like the location of the hotel. It's far enough away from the bustle of the city, but close enough to enjoy the view and the sounds of the city. We particularly enjoyed the view of the Matterhorn from the restaurant terrace. Breakfast was delicious. The indoor spread was magnificent and the food from the kitchen was splendid. We enjoyed lunch and dessert out on the terrace as well. We had brought a bottle of wine with us and everyone was so kind to allow us to drink it on the terrace of the restaurant, the night the Matterhorn was illuminated for the 150th anniversary. I can not express how wonderful our stay was. We enjoyed the solitude of our room and the quiet around us. My husband and I may have enjoyed a free night's stay at Cervo, but we have decided we would love to come back for another visit for a much longer time. It felt like a wonderful holiday. You've got a new paying customer. Thank you so much for your fabulous service! it is better to seeing at site rather than seeing pics in the homepage. We loved the hotel, decor, rooms, restaurants and wonderful staff. A terrific holiday for all. Our only suggestions would be: better access/value for family room vs two separate rooms and the addition of a small fitness centre. Fitness area would be a bonus, plus a swimming pool It is expensive for a family to stay as there are no family rooms.